The biggest disappointment of 2011. Ben Stiller playing the straight man. 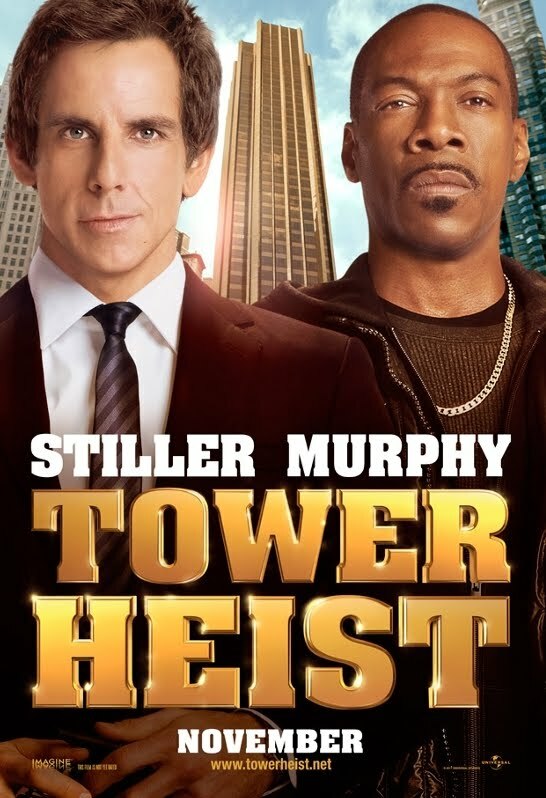 Eddie Murphy being second billed yet only having about 20 minutes of screen time (when he is on screen he is HILARIOUS!). It's a drama…WAIT…it's a comedy…WAIT it's a thriller…nope it's a mess. TOWER crumbles completely in the final act where the hidden loot is revealed to be in a place that completely contradicts what was said earlier in the film. SPOILER ALERT!!! A stash that's easily accessible that can be grabbed in a rush in case the cops come calling. Explain to me how Alan Alda planned to escape quickly with his solid gold car that took the last part of the movie to steal? The only crime here is paying to watch this Oceans 11 wannabe.